Set on the coast road, just 600 yards above sheltered Maidencombe Beach and the village's pretty thatched inn, these four very comfortably furnished properties all have separate entrances and enjoy use of an acre of attractively landscaped gardens with extensive sea views. They are ideally situated for the coastal path, yet still enjoy a peaceful and tranquil setting for abundant local wildlife. 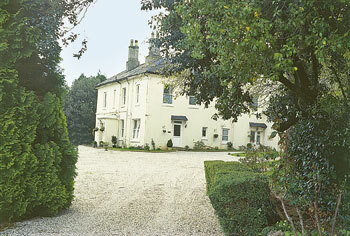 Laurel is a two storey wing of the original Victorian residence. 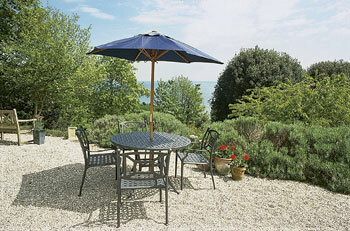 The 'English Riviera' is famous for its mild climate and is ideal for year round breaks. Torquay with its many amenities is only 4 miles away and Teignmouth, Dartmouth, South Hams and Dartmoor are all within easy reach. Golf and good walking locally. Shops 2 miles. Very comfortable and spacious sitting room with dining area and door to decked area. Small fitted kitchen.